Jessica is a PhD Researcher funded by the Web Science Centre for Doctoral Training and based in Sociology, Social Policy and Criminology. Jessica is currently researching web archival practice, as observed through various communities of practice engaged with archiving the Web. Jessica’s academic background includes a BA in Anthropology, a MSc in Archaeological Computing (Distinction) and more recently, a MSc in Web Science (Distinction). The Web Science MSc Dissertation focused on the key events and communities of practice that shaped the development and implementation of institutional repositories online. Through the use of key informant interviews and documentary evidence, a chronology was reconstructed of the socio-technical events that played a role in the development of software to support repositories. The research revealed two parallel but intersecting narratives that highlighted the roles of both the digital library and open access communities in the formation of institutional repositories as a means for supporting academic outputs. More generally, Jessica has worked in the cultural heritage sector for over 10 years designing and implementing strategies for heritage data collection and management. She is a self-taught technologist with academic and professional experience in the use of web technologies for the curation and dissemination of heritage information. Jessica’s PhD is focused on web archival practice itself and how ‘the doing’ of web archives (and the factors that going into this) shapes what is known about the Web. The research takes an interdisciplinary socio-technical approach, and draws on postmodernism and the ‘archival turn’ to understand the role of both web archivists and technologies in the creation and maintenance of archives. The study involves the use of ethnographic methods (online and offline) to observe and engage with web archiving in different organisations, disciplines and communities of practice. 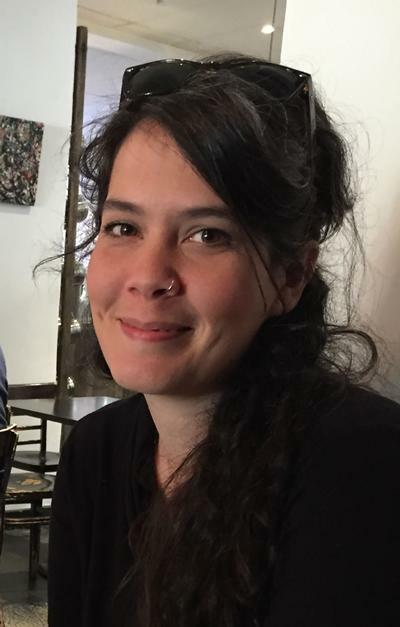 Jessica is an enthusiastic supporter of the Open Web (open access, open data, open knowledge) and especially enjoys critically engaging with the ways in which both humans and technologies shape what is known about the world. Ogden, J. (2016). Interrogating the politics and performativity of web archives. Paper presented at JCDL2016: Joint Conference on Digital Libraries 2016: Doctoral Consortium, United States. Ogden, J. (2015). Opening the ARK: Uncovering the socio-technical evolution of an archaeological database. Poster session presented at Computer Applications and Quantitative Methods in Archaeology 2015, Italy. Costa, S., Beck, A., Bevan, A., & Ogden, J. (2013). Defining and advocating open data in archaeology. In G. Earl, T. Sly, A. Chrysanthi, P. Murrieta Flores, C. Papadopoulos, I. Romanowska, & D. Wheatley (Eds. ), Archaeology in the Digital Era; Papers from the 40th Annual Conference of Computer Applications and Quantitative Methods in Archaeology (CAA), Southampton, 26-29 March 2012 (pp. 449-456). (Computer Applications and Quantitative Methods in Archaeology (CAA)). Amsterdam, NL: Amsterdam University Press.